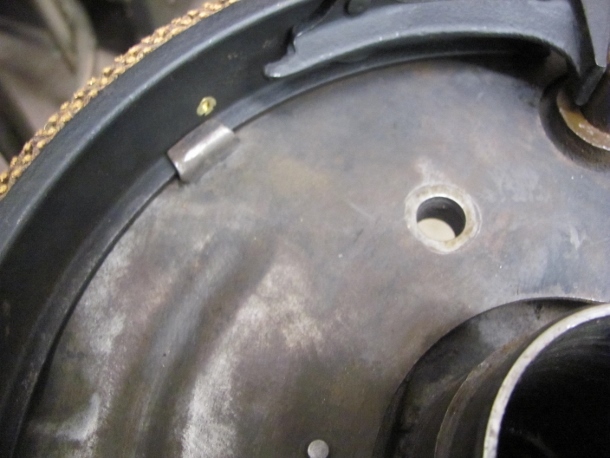 This question is for 1926-7 (large drum) Model T emergency brakes. On my car, I'm not certain how much has been "fixed" in the past. 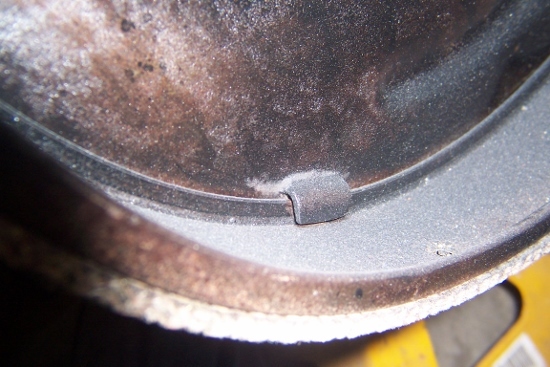 The brake shoes appear to be original with new linings. The drums are original. I'm thinking the brake cams may have been replaced as I see no wear. Right now, I can't turn the drums without the brakes dragging with the lever on the backing plate in any position. I'm thinking I need to grind the brake cam (height wise) to give me some clearance between the lining and drum before the brakes take hold. But, how much? I can take the shoe/lining off and place it inside the drum and put a spacer in that equals the thickness of the cam to simulate the thickness of the cam. How much clearance should I have between the lining and drum? You need to adjust the rods. Don't grind anything. I suggest your google "mtfca: adjust parking brakes" Small drum or large drum parking brakes are all adjusted about the same. I am not talking about brake rods. What I am saying is, the emergency brakes are dragging without even moving the lever on the backing plate. I can barely get the brake-drum/hub-assembly on the axle. There has to be some kind of clearance between the brake material and drum so the wheel will turn. The brake rods have not been hooked up yet. I have the same issue with my 26 rear axle. Mine is so tight I can't get the hubs on so I've left it for now. I planned to grind down the linings a little. I'd be cautious about losing material off the cams. The repo cast brake shoes for the 09-25 Ts used to need some massaging of the shoes to fit. Usually, it was in the area where the bolt goes and where the cam fits. The trick with them is that the bolt (somewhat) holds them in position so you had to be careful to keep the shoes centered in the drum. The 26-27 shoes are allowed to float. I don't think grinding off any part of the metal part of an original shoe is the answer on a 26-27. Dave, I like your suggestion about grinding the linings a little. I could probably do that on a disk sander. I had the same issue with the driver side brakes on mine. I removed a small small section [of the lining) by one of the ends, and was able to angle it on and push it on. It is indeed tight, but once you get it on it should be looser. It will still probably drag a small amount, but I just ran mine and it wore itself down. They should be firm to the backing plate. The shoes need to ride in the clips, fully down. Some times dirt gets in the channel of the clips and you can't get the edge of the shoe into it. 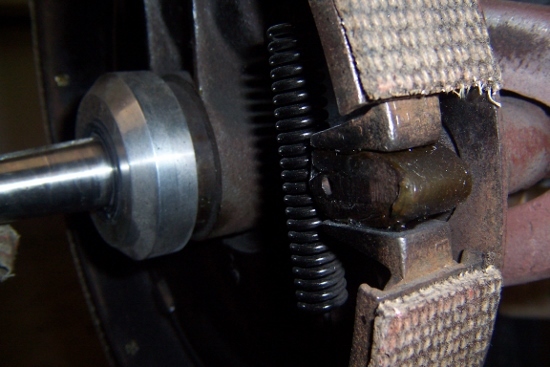 The large single spring locks the shoe to the cam so the shoe can't float. I have at times needed to grind/sand the leading edge, but you need to check thickness of the lining if it really stands proud of the edges of the backing plate. If when seated in the clips and with the spring in place, the linings extend too much past the backing plate, you need to shave the linings. Like John posted, new linings will drag a bit, and make the drum warm for a while, but a few miles will seat them soon.